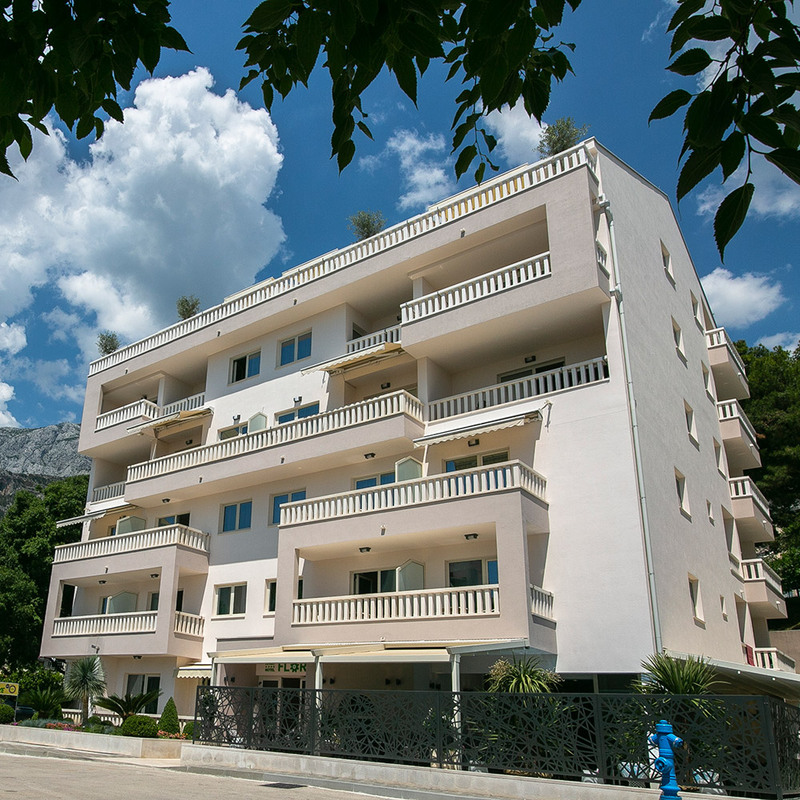 Aparthotel Flora is located in Tučepi, one of the most beautiful and most popular tourist destination on Makarska Riviera. The hotel was built in 2013 with 20 accommodation units, just few steps away from the main Tučepi beach. Explore all hidden parts of Tucepi beach, with numerous offers for entertainment and sport, you can visit some of the beautiful Croatian Islands, nearby is mountain Biokovo reserved for unforgettable experience. We are pleased to welcome you as our Guest in elegant ambience of our four-star Hotel.